NO-NONSENSE MAN: Chief Justice of India Ranjan Gogoi. 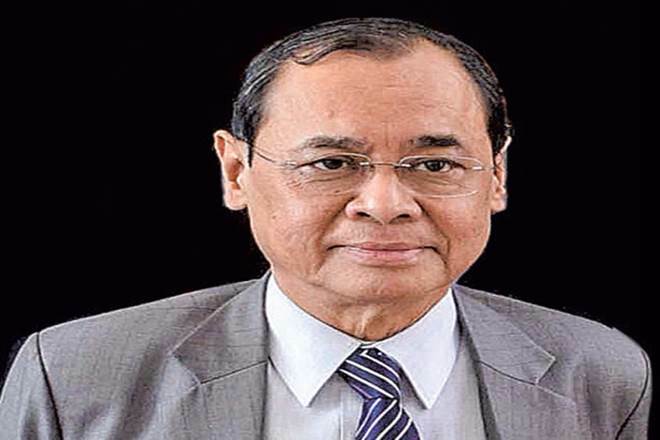 Justice Ranjan Gogoi, the second senior most judge in the Supreme Court, will take oath as the next Chief Justice of India (CJI) on October 3. Chief Justice Dipak Misra will soon endorse Justice Gogoi’s name as his successor, keeping with the tradition of naming the judge next in seniority as the chief justice, NDTV reported. Justice Gogoi, sources say, will be the Chief Justice till November 17, next year, Zee News said in a report. This comes after the Law Ministry a few days ago asked Chief Justice Dipak Misra to recommend his successor. It is convention for the law ministry to write to the Chief Justice asking for his recommendation on the man who will replace him. Justice Gogoi was among the four judges who, in January, criticised Chief Justice Misra in a rare press conference and accused him of misusing his role of assigning cases as the Supreme Court’s Master of the Roster. He is currently hearing the Assam National Register of Citizens (NRC) issue. Justice Gogoi’s name is likely to be made formal when Justice Misra replies to the Law Ministry letter. He retires on October 2 and has to name a successor at least one month before that. Justice Gogoi, who was elevated to the Supreme Court in 2012, is known to be a soft-spoken but tough judge. Born on November 18, 1954, Justice Gogoi joined the Bar in 1978. He practised mainly in the Gauhati High Court. He was appointed as the permanent judge of Gauhati High Court on February 28, 2001. Later in 2010, he was transferred to Punjab and Haryana High Court on September 9, 2010. A year into his transfer, Justice Gogoi was appointed as the Chief Justice of Punjab and Haryana High Court on February 12, 2011. He was elevated as a judge of the Supreme Court on April 23, 2012. Since then Justice Ranjan Gogoi has been serving the apex court as a senior judge.